We provide client best quality, best price go with best service machine to support client business. 3oz~16 oz (mould exchageable). And the lifetime is about 10years. 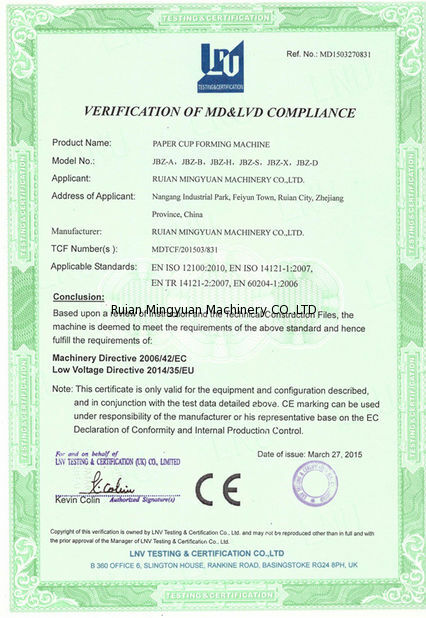 It is used for making paper tea cup ,coffee cup , etc.Engineers available to service machinery overseas,Free training. 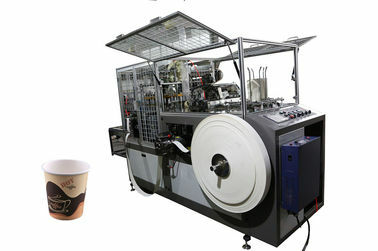 Paper Tea Cup ,Ice-cream Cup Paper Cup Machine Ultrasonic Heater Paper Cup Machine(speed 90pcs/min ) is an automatic machine with multiworking station,which has the function of photocell detection,failure alarm,counter and the advantages of humanism design,safer operation and easier maintenace. high speed paper cup machine is increased the efficiency of paper cup forming process. This machine can finish paper feeding, sealing, cup-bottom feeding heating, bottom knurling, cup-mouth curling, cup-collecting, etc .It is especially suitable for making paper cups with height of 50-135mm. (1) Ultrasonic seal the paper cup body,can produce both single and double PE coated paper. (2). photoelectricity /sensors for checking every process and reporting . 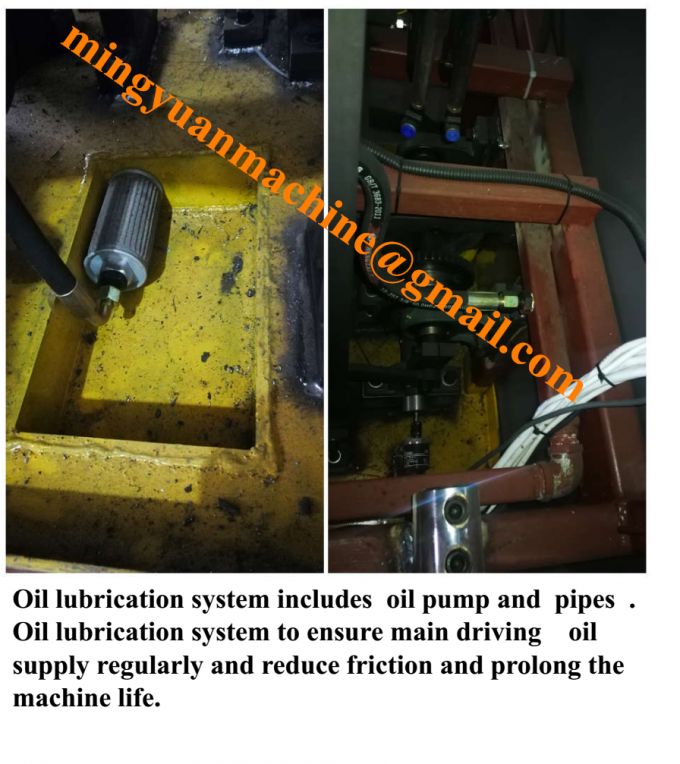 (3) Automatically Oil lubrication system. 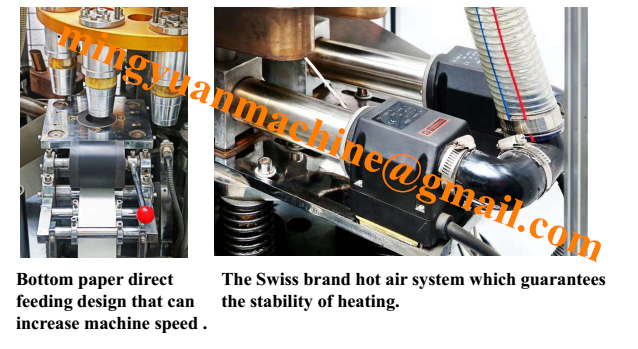 (4) hot air system which made in Switzerland:Cup bottom heating by hot air . (5).Bottom paper direct feeding design that increases the speed of the machine. (6) Open cylindrical cam and big gears promote the stability and speed. (7) Counting and collection system which can save more labors. 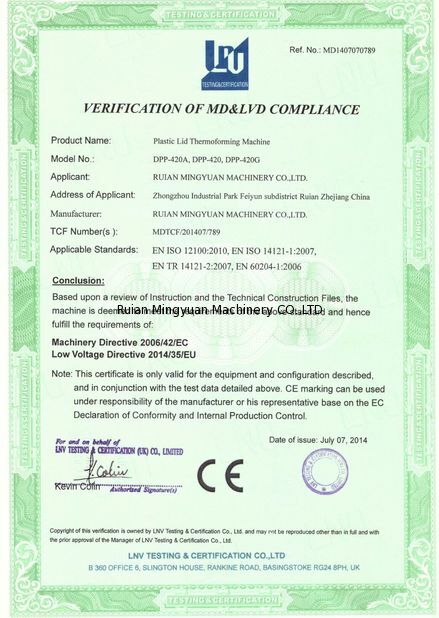 (8)PLC control system and touch screen for easy and visual operation of machine running.